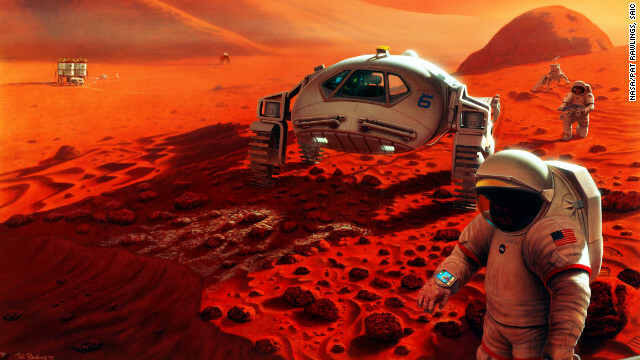 In response to media reports that a big announcement about Mars could be coming soon, hundreds of comments came in about what that news could be. The Curiosity rover has been exploring Mars since August 6. The mission costs $2.5 billion and it's the most advanced vehicle humans have ever sent to the Red Planet. Scientists may have found something interesting by analyzing soil through the rover's SAM instrument suite, but they aren't ready to say so yet. I think that they found traces of methane which would prove the possibility of life on Mars either past or present. Sulphur would also provide the possibility of sulphur reducing bacteria being present. I think the data might confirm suspect data from the 1976 Viking Mission. This image is proof of what was discovered: http://t.co/s3rmcKrt spread the word and FAST!